Golf aficionados, rejoice! The Masters is upon us once more. This year, instead of watching from home, venture to Del Frisco’s Grille in Rockefeller Center tomorrow (April 5th) from 11 AM to 1 PM to celebrate the iconic tournament. Not only will customers be able to take in the scenery of New York’s buzzing Rockefeller Center, but will also experience a curated afternoon pop-up outside on the restaurant’s patio. Del Frisco’s Grille will collaborate with two premier brands, Konnect Golf and Salute American Vodka, to make an exciting day even more brilliant. Guests who visit Del Frisco’s Grille’s pop-up will be met with a live screening of the Masters to view as you’re dining. Will your swing live up to those playing in the tournament? You will find out, as all guests will have the opportunity to take a swing on a virtual putting green. When you’re done perfecting your golf swing, sit down for a drink and a bite to eat. You can indulge in two special menu items that will only be available to restaurant-goers during the Masters, which runs from April 5-8. 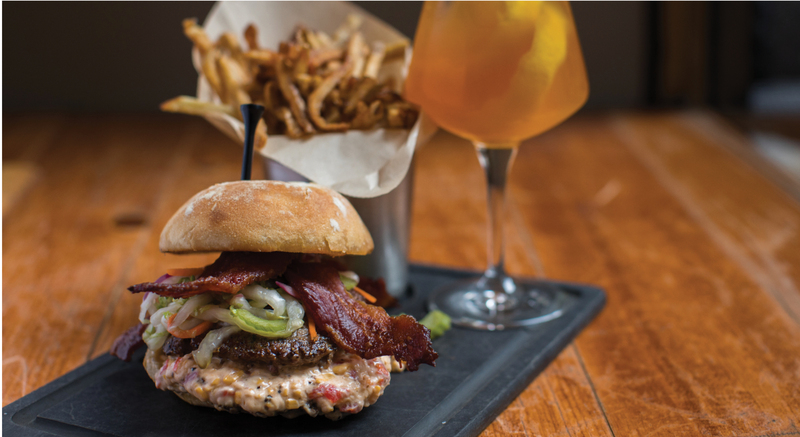 The Pimento Double Cheeseburger is crafted with a house-made pimento cheese that is infused with beer to give it a decadent taste. 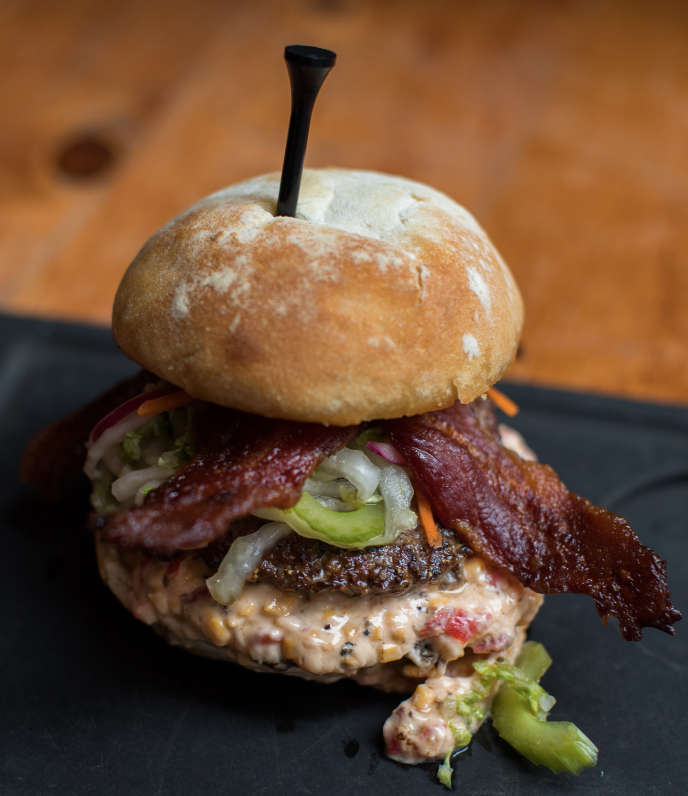 Served on a toasted Ciabatta roll, the burger is also topped with Napa cabbage and crispy candied bacon to add some crunch to your bite. We can see your mouth begin to water already! Pair your Pimento Double Cheeseburger with a spiked John Daly’s, which will compliment your burger perfectly. The renowned golfer’s hard tea has the same components as an Arnold Palmer (iced tea mixed with lemonade), but is also infused with alcohol so you can thoroughly enjoy your afternoon lunch watching the tournament. Guests can also order off Del Frisco’s regular menu, but are urged to try these limited-edition options if they’re up for it! Guests who would like to join in on this golfing event can call the restaurant at 212-767-0371 to book reservations. Images via Del Frisco’s Grille; Credit: Jeremy Jacobowitz of @brunchboys.